Eating legumes several times each week is recommended by the U.S. Department of Health and Human Services, as beans and lentils are an excellent source of fiber and protein. 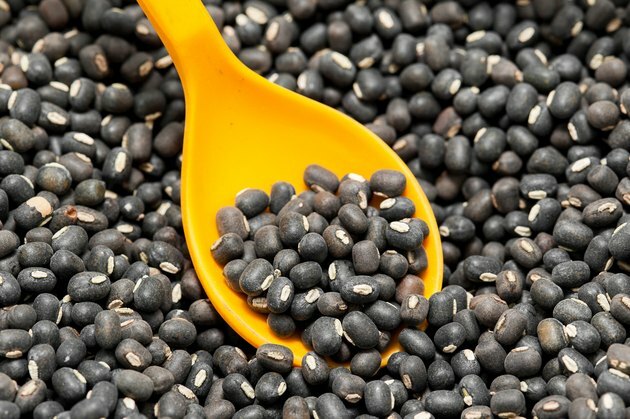 According to Julie Sahni's excellent resource, "Classic Indian Cooking," urad dal is actually a bean, and is also known as the black gram bean or black lentil. The bean is native to India, and is especially popular in North Indian cuisine. Like most bean and lentil dishes, urad dal is easy to prepare and can be eaten either as a side dish or as an entree. Skinned and split urad dal, which is white in color, has the mildest flavor, as well as a chewy texture. Rinse the urad dal thoroughly and pick out any small stones or other debris. Pour the urad dal into the pot and cover with an inch of water. Bring the water to a boil, then lower the heat to a simmer. Cover and cook for at least 30 minutes or until the urad dal is tender. Stir occasionally and add more water as needed. Drain the urad dal if needed, then season to taste with salt, pepper and curry powder. Serve over rice or a bed of lettuce and drizzle with olive oil and vinegar. If you like the flavor of garlic and onions, you can either cook them with the urad dal or add sauteed onions and garlic when it is finished cooking. Urad dal is delicious served with naan bread and cucumber salad. Stir the urad dal frequently in order to keep it from sticking to the bottom of the pan.